‘Shark Tank’/ABCDaymond John was not happy when Ashley Drake decided to partner with Robert Herjavec. The producers of ABC’s hit show “Shark Tank” know how to edit the show for maximum dramatic effect, but that doesn’t mean the intense battles between the investors for a hot company are fake. 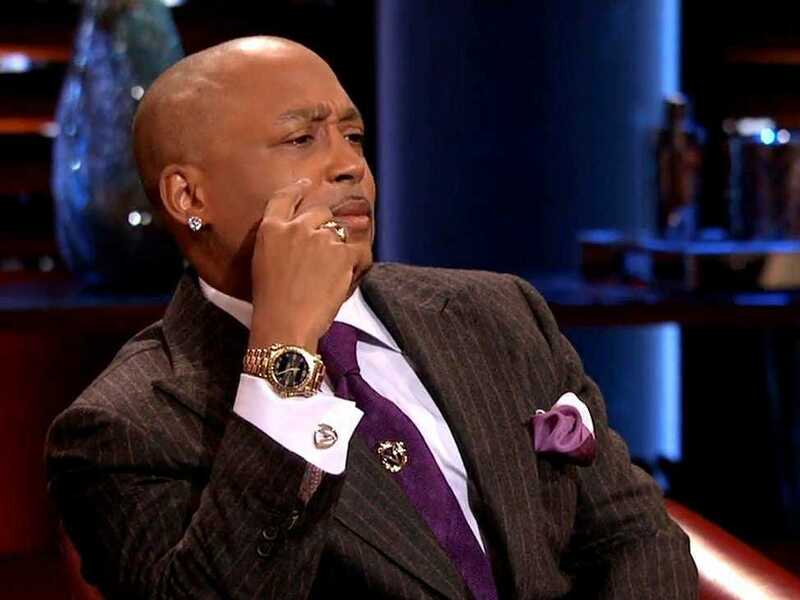 We recently spoke with investor Daymond John, who said that losing out to Robert Herjavec in the most recent episode for a deal with fitness accessory company The Natural Grip got him riled up. 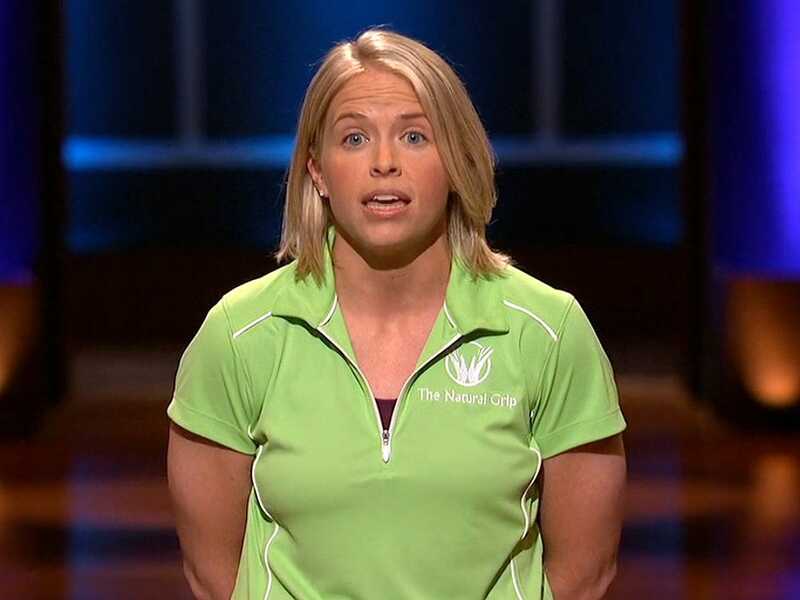 In the episode, Ashley Drake, an active duty captain in the Army Corp of Engineers from Louisville, comes into the tank looking for a $US100,000 investment in return for a 20% equity stake in her company. She has a CrossFit athlete demonstrate how The Natural Grip hand wraps can protect weight trainers from tearing up their hands. Her product is the only cotton and custom-fit of its kind, she says, which has led her to bring in a respectable $US178,000 in revenue in the first year. She wants to use the money to expand beyond the limitations of her six-person staff and start manufacturing enough to meet demand. She expects $US400,000 in sales by the end of 2014 and $US1 million by the end of 2015, if she can develop her manufacturing. Investors Lori Greiner and Kevin O’Leary both commend Drake on her energy, focus, and preparedness, but back out of doing a deal because the field is not within their interests or expertise. The usually cynical O’Leary, however, urges the remaining Sharks to get in on a deal. ‘Shark Tank’/ABCThe Natural Grip cofounder Ashley Drake. Mark Cuban is also a big fan, but his vision of expanding The Natural Grip beyond a single product into a CrossFit lifestyle brand in the near future doesn’t align with Drake’s vision, and so he doesn’t do a deal. John and Herjavec make it clear that both of them very much want to make a deal and spend the rest of the negotiation trying to appeal to Drake. 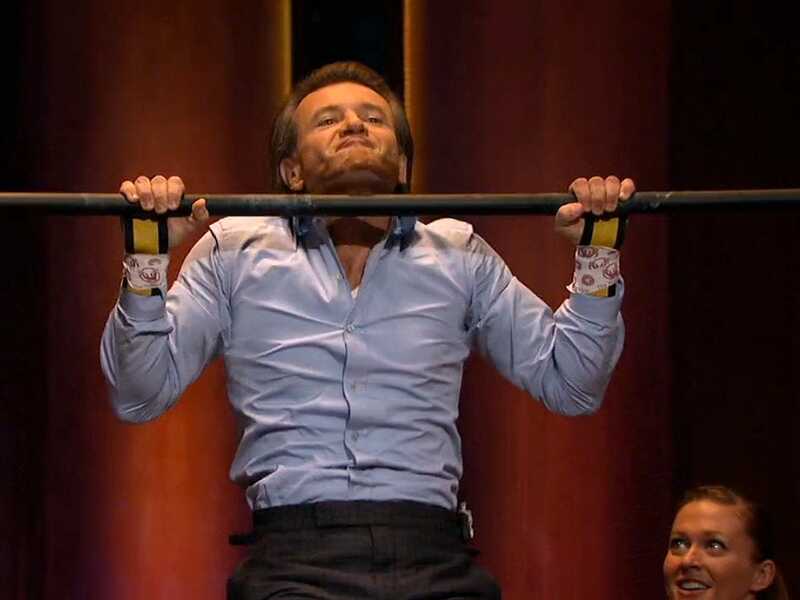 Herjavec, who tries out the Natural Grips and does some pull-ups, is the self-proclaimed “Sporty Shark” and makes his case first. “You have tremendous credibility, and you’re a great operator. Every business I’ve invested in on ‘Shark Tank’ that had a great operator has succeeded,” he says. He tells Drake that he is completely on board with her strategy and offers $US100,000 for a 30% stake. “I think you need more than just the money,” John counters. “I know Robert has a couple connections, but obviously I’m in this space.” John previously mentioned that he is the owner of Reebok CrossFit Fifth Avenue in New York and now says he can get her a partnership with Reebok. He offers her his industry expertise and $US100,000 for a 40% stake. Herjavec appeals to Drake’s trepidation over giving up too much of her company and tells her that she doesn’t need Reebok, she just needs to stick to what she’s been doing but at a higher level. Drake is receptive to this idea and tells John that she doesn’t need “more fancy people wearing my grips” from a branding deal but needs to focus on growing manufacturing. “I’ve been manufacturing since the day I was born. I actually took my umbilical cord and made it into a belt,” John tells Drake. Herjavec jumps in before Drake can mull over that graphic metaphor. He offers her $US125,000 for 25%. John immediately counters with $US100,000 for 33% and the promise that he completely understands the CrossFit community and will take care of her manufacturing issues before anything else. Drake tells John that she knows he’s very well connected, but she’s sacrificed a lot over the last year for her company — suggesting that she wants someone more aligned with her vision and likely doesn’t want to give up too much equity or undervalue the business. She does the deal with Herjavec. “That is a big mistake,” John says, scowling. “She just partnered with a cyber theft guy, referring to Herjavec’s security tech company. “Nope, she partnered with a sporty Shark!” Herjavec says. Before the episode aired, John told us that he wasn’t actually angry with Herjavec so much as he was angry with his own performance. “It’s almost like going into sports. Two boxers go out there and somebody whoops your arse — you know you weren’t on top of your game in that fight,” he said. John was objectively the most qualified person to get Drake’s product to the CrossFit community, but he failed to convince her that he was on her side. Herjavec was able to tap into Drake’s fear over giving up control of her company and framed John as someone who wasn’t aligned with her vision. In retrospect, John admits defeat. But he was pretty heated in the moment, and it wasn’t for the cameras. You can watch the episode where John and Herjavec face off on Hulu Plus.